Betway have probably been one of the fastest growing bookmakers over the last couple of years. 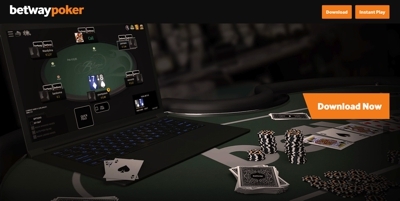 Whilst their ties initially lied almost exclusively with sports betting, they now offer the full package with casino, bingo and poker options for their players to use. The company certainly aren’t new to the industry, being established in 2006, but it’s fair to say that initially they hadn’t made the strides that they were likely hoping for. These days they are much more of a complete package and with every string they have applied to their bow, they grow stronger. Betway has been in the industry since 2006, which in today’s market is actually quite a long time. They are based in Malta, but also hold a head office in Guernsey. What’s been interesting to see about Betway is that they arguably stalled in the early days of the company hitting a bit of lull around 2010. Since then they have gone through a fairly major rebrand and sponsorship deals with the likes of West Ham United and the Premier League of Darts have once again put them back on the map. Betway are now widely regarded as one of the biggest bookmakers in the industry, but it’s definitely their sports betting section that has seen them progress at a much faster pace than the other gambling components. That being said, both their casino and poker room are now a hive of activity and they have managed to increase their player fold quite impressively in recent years. The site includes an all-new mobile betting, which was a much-needed update for the brand. The app now is easily one of best looking and most functional in the industry. You’ll gain access by simply visiting the bookmaker on your smartphones browser before being directed to the mobile friendly version. The range of sports and markets that are on offer at Betway are really quite impressive, with a fairly large bias to both football and horse racing. Having said that, other sports such as golf, cricket, tennis and rugby have a steady following as well. 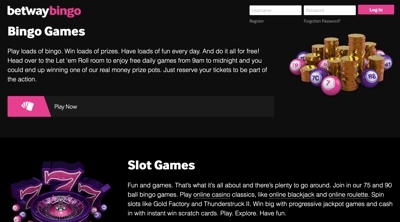 The casino itself is jam packed with games from their partnership with Microgaming. What’s great about this is that Microgaming offer up some of the best games on the market includes Avalon II, Thunderstruck II and Game of Thrones, to name but a few. You’ll be able to play on your browser and, as they are a single software company, be able to download the client direct to your computer if you wish. The poker room is powered by Microgaming and with that comes a really solid poker network to play on. Microgaming actually hold one of the biggest poker networks in the industry, meaning that games are readily available around the clock. The software on offer is again powered by Microgaming, who probably aren’t best known for their bingo games, but still offer a mightily impressive range. The basis to the games is that of 90, 80 and 75 ball offerings, with numerous side games and slots that can all be played. One thing to look out for at the Betway bingo hall is the number of promotions they run in the handful of bingo rooms that are on offer. It’s best to check the bingo room to see what is on offer as they often change each week or even day.